The option of "comment backups" allows the users to add comments to each backup. During the process of restore, the comment can aid the users in finding out the target backup in a short time. It is very useful. 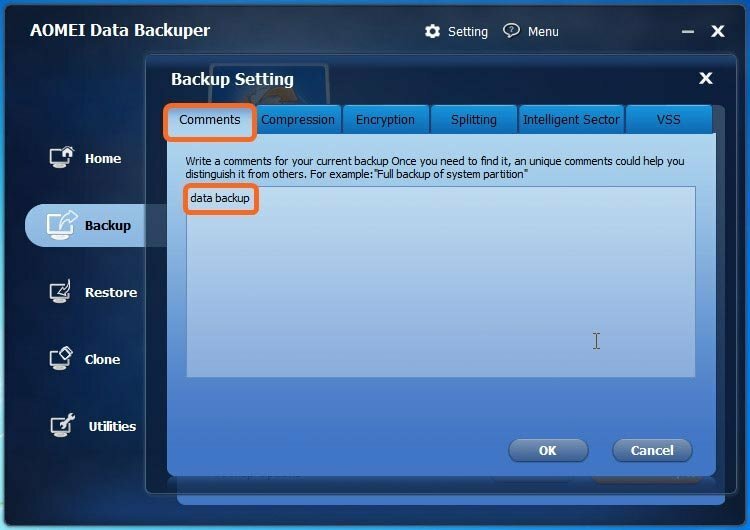 When you do a backup operation, there will be a "Backup Options" in AOMEI Backupper, you could click the option to write a comments to help you distinguish it from others. 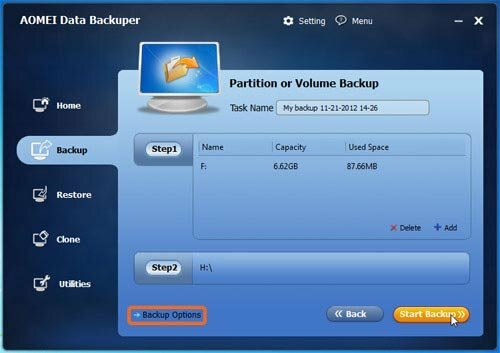 When carrying out a backup task, you would first select a backup type, disk, partition or system backup. Here we set partition backup as an example. 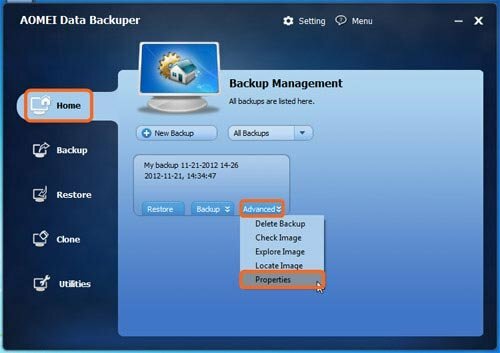 And then you will enter the "backup setting" page, on which you can add a comment directly based on your own needs by clicking the "Backup Options" button. Then, you can enter a comment. Moreover, in AOMEI Backupper, the comment of backup will be shown in the "Properties" item of the backup under the "Home" page. In the "Home" tab, just click "Properties" option under the "Advanced" option. Then, you can see the comments set by yourself.